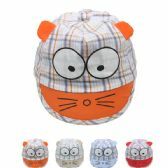 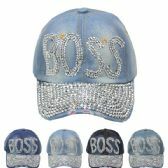 If you have been looking for some really funny hats wholesale to bring more customers into your store, then check out this amazing collection of cheap novelty hats that we have here for you. 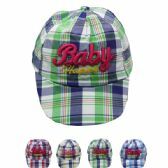 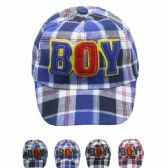 There are all kinds of hats with sayings, slogans and motifs here, and you can buy them at all at bulk discounted wholesale prices. 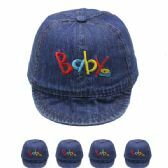 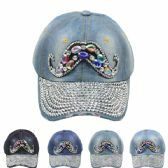 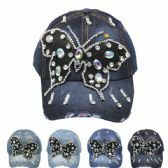 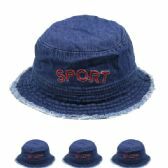 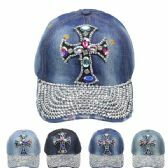 We have huge bulk discounts on wholesale sparkle hats, wholesale graphic caps, wholesale dad caps wholesale denim caps, wholesale USA caps. 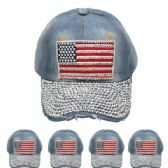 We have the biggest wholesale discounts on bulk bling caps, bulk military caps, bulk American flag caps, bulk love caps, bulk rhinestone caps, and bulk peace sign caps. 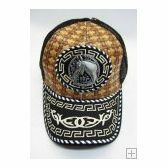 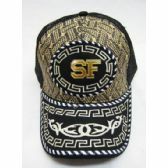 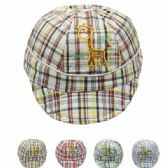 We have great wholesale deals on wholesale souvenir caps, wholesale trucker caps, wholesale embroidered caps, wholesale duckbill caps, wholesale adjustable caps, and wholesale pierced caps. 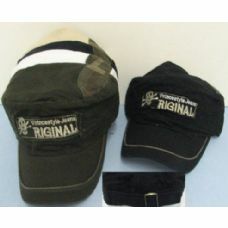 All Time Trading is the number one wholesale supplier of inexpensive apparel to the retail trade and the charity sector. 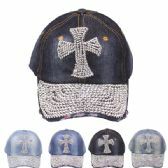 We supply nothing but the highest quality fashion and everyday clothing at the lowest wholesale prices. 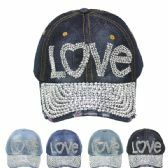 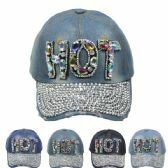 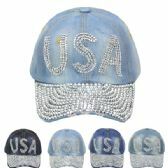 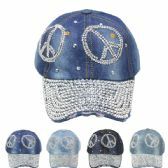 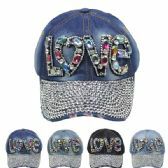 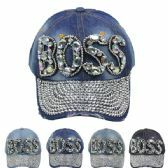 If you want the best display of fashion hats with sayings, then order your wholesale bling caps, wholesale military caps, wholesale American flag caps, wholesale love caps, wholesale rhinestone caps and wholesale peace sign caps from All Time Trading today and get the biggest bulk discounts on wholesale hats with sayings that you will find anywhere. With great looking hats like these in your store, you are sure to turn a few heads, so stock up now with high-quality bulk sparkle hats, bulk graphic caps, bulk dad caps, bulk denim caps, bulk USA caps, and bulk kids summer hats, and bag yourself a great wholesale deal. 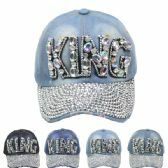 Hats with sayings at low wholesale prices like these are going to sell really fast, so stock up with a full range of bulk caps with sayings so that you have a good selection to offer your customers. 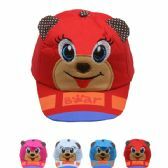 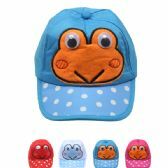 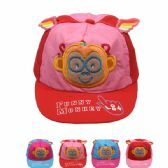 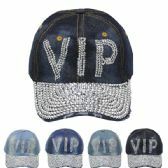 Make the most of our massive bulk discounts on wholesale kids summer hats, bulk souvenir caps, bulk trucker caps, bulk embroidered caps, and wholesale sparkle hats. 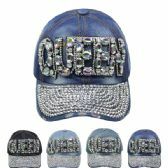 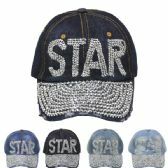 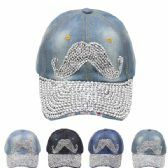 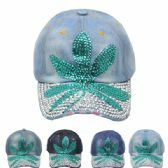 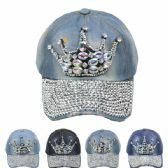 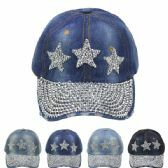 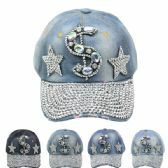 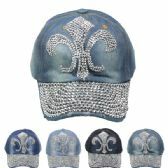 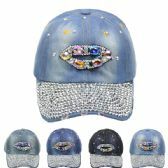 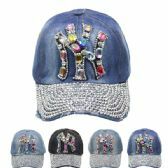 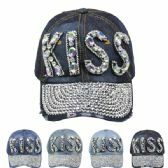 Get the best wholesale deals on bulk sparkle hats, bulk graphic caps, bulk dad caps, bulk denim caps, bulk USA caps, bulk bling caps, and bulk military caps. You save money on all your wholesale purchases of bulk American flag caps, bulk love caps, bulk rhinestone caps, bulk peace sign caps, bulk kids summer hats, and bulk embroidered caps when you buy your wholesale bulk caps with sayings from All Time Trading! 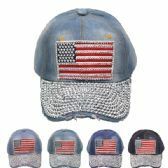 Whether you buy one cheap case of wholesale American flag caps, or you place a bulk order for wholesale love caps, wholesale rhinestone caps, wholesale peace sign caps, and wholesale kids summer hats, you get the biggest wholesale discounts at All Time Trading and, we deliver for free! 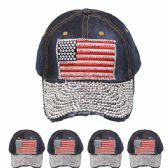 Don’t wait until the store next door has a better retail display of wholesale USA caps, wholesale bling caps, wholesale military caps and wholesale souvenir caps than you do! 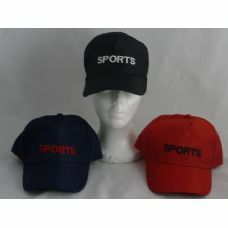 Order your bulk wholesale caps with sayings now and get the biggest wholesale discounts on bulk hats with sayings!